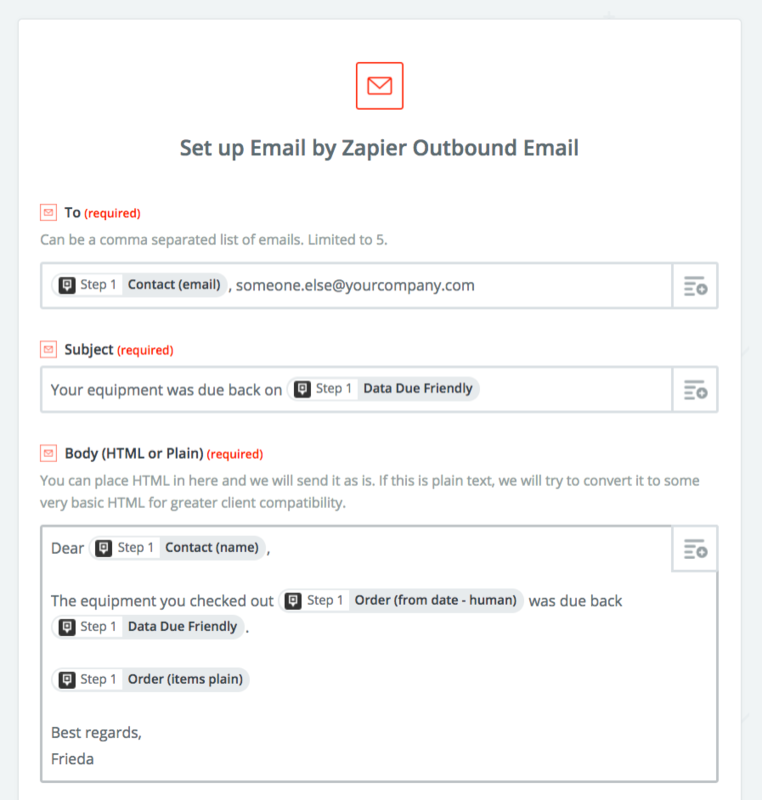 Zapier (www.zapier.com) is often referred to as being "the glue between web applications". 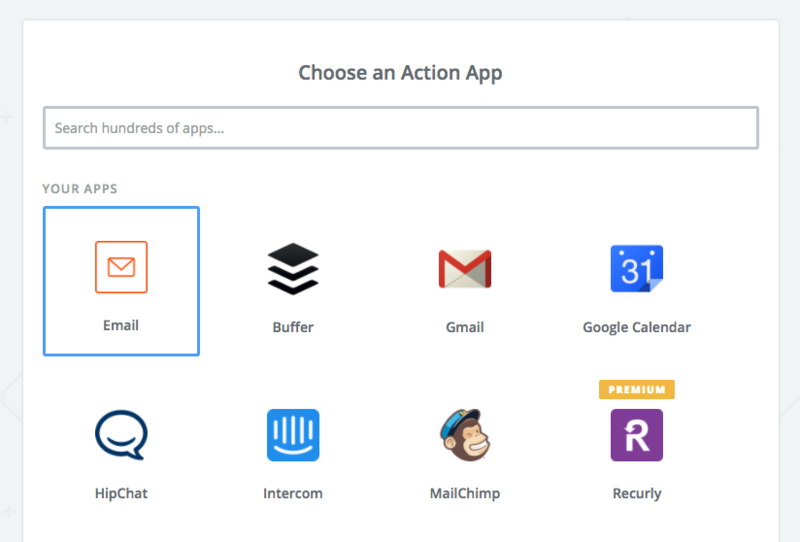 It enables you to automate tasks between CHEQROOM and other online apps. 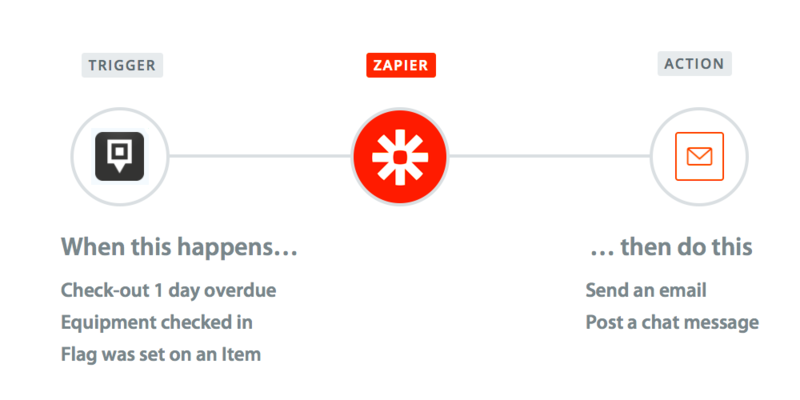 To get started, log in to Zapier. If you don’t have an account, you can sign up for a free trial. After your trial expires you can continue with their free subscription, or upgrade to a paying subscription depending on your needs. 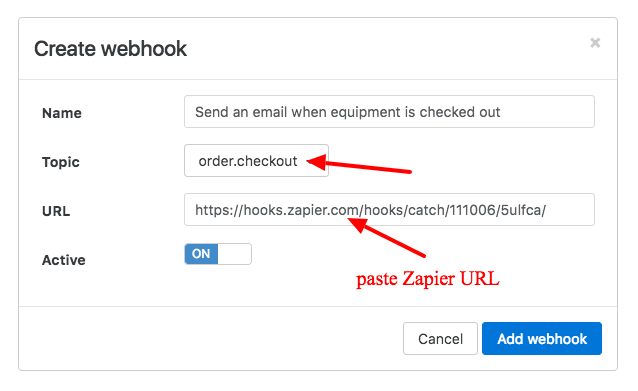 Once you have logged in, click the Make a Zap! button. 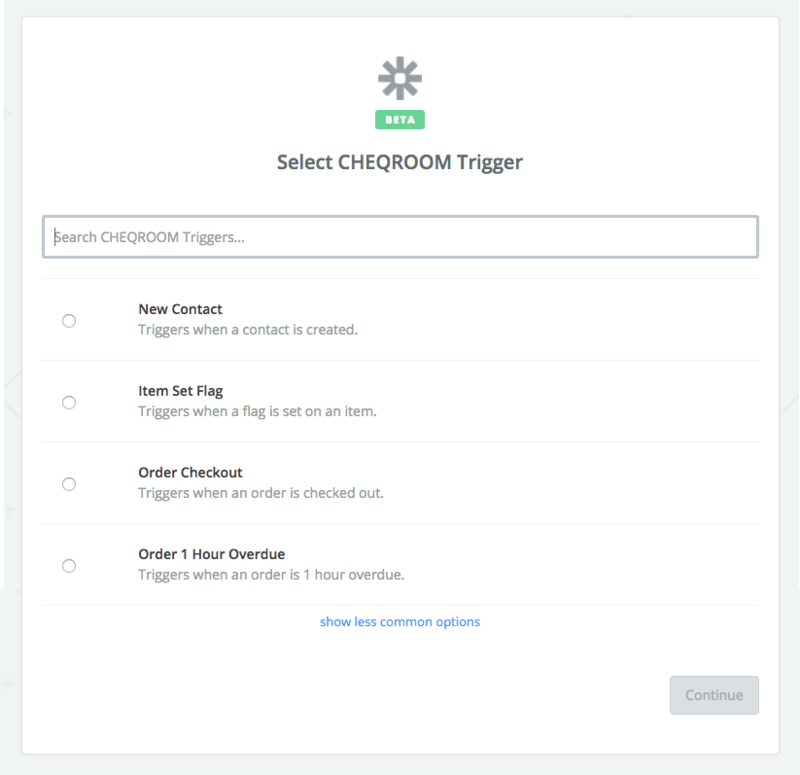 Choose CHEQROOM as the Trigger app – this means that Zapier will be triggered everytime something interesting happens in CHEQROOM. 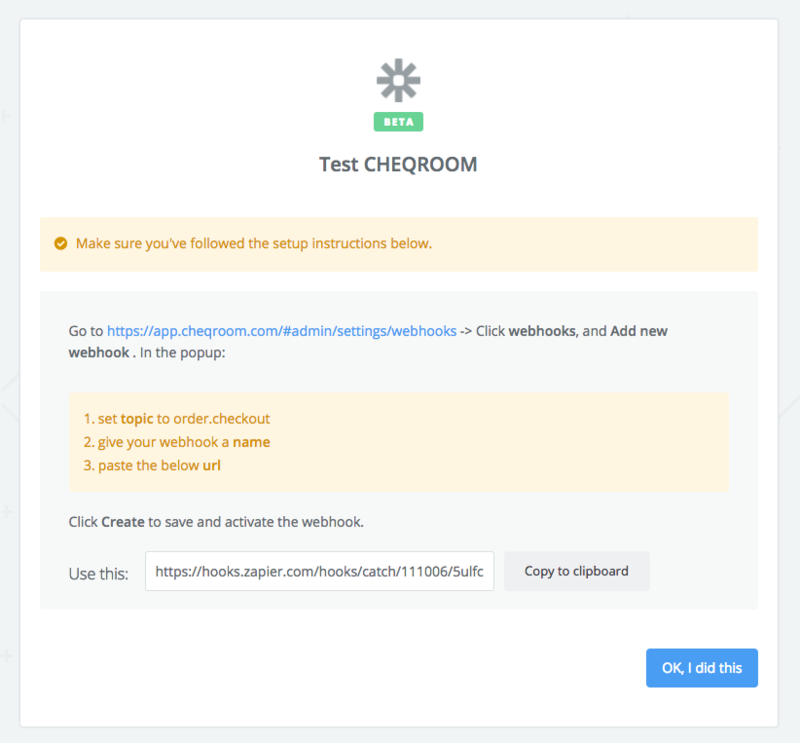 Click Copy to clipboard to copy the webhook to use in CHEQROOM. Depending on the Action App you've selected, you will be prompted to go through some extra configuration steps. 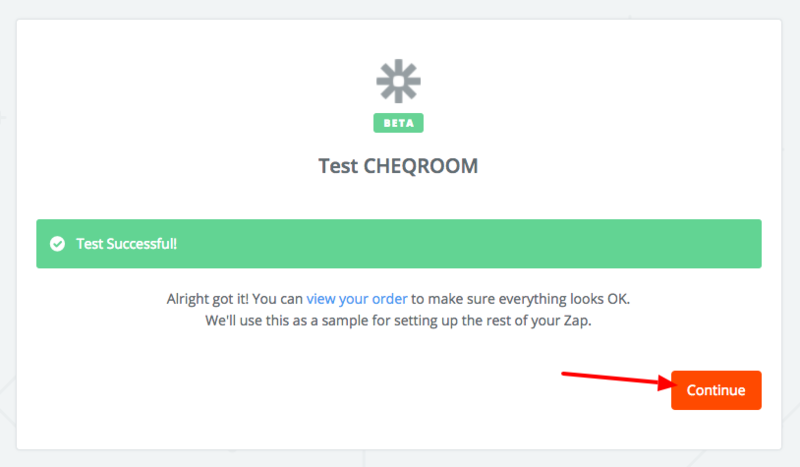 Why is CHEQROOM not showing as an app inside Zapier?